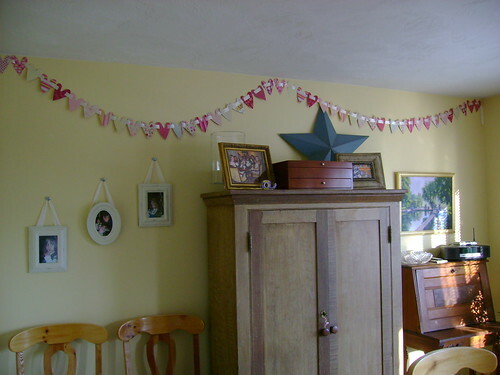 In the last post I left you with this picture of how I used my scraps to create a second garland. 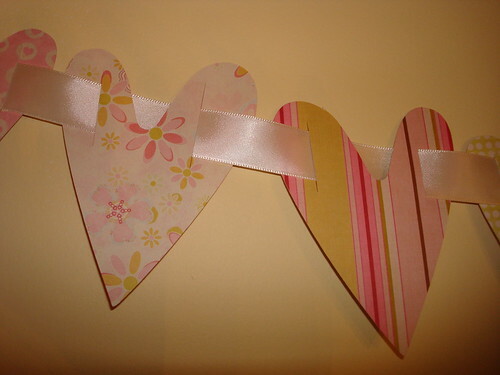 I started with many different hearts cut from Valentine themed scrap paper to make a Chain Garland. 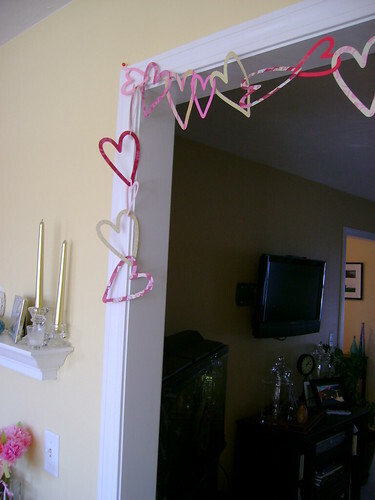 The insides of these hearts are what I used to make this Satin Ribbon Garland. 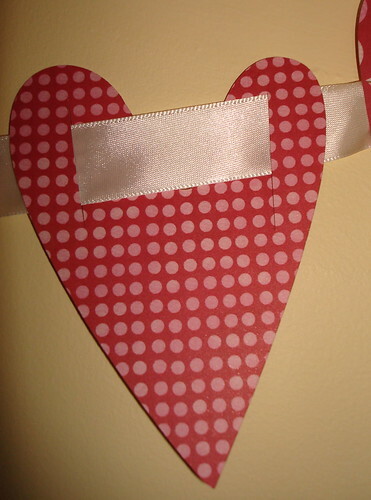 All I needed to complete this was a length of 1" satin ribbon and an Xacto knife. I made 2 slices in the paper with the knife that were wider than the ribbon. Then I thread the ribbon through it. It was really that simple. Then I went on to the next one. And the next one.... and the next one. They're light enough that all I had to do to display them was tape a few to the wall. 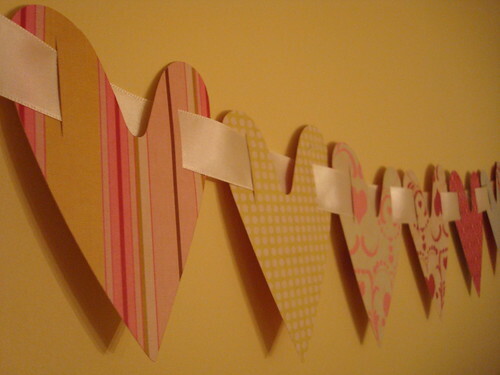 They're also easy, practically free, and they use up scrap materials!